Battle On! 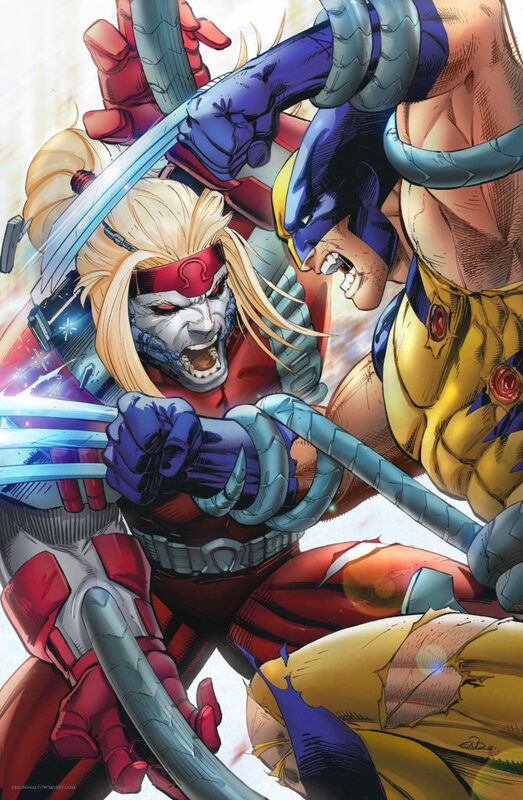 The best of the 90’s X-Men right here! 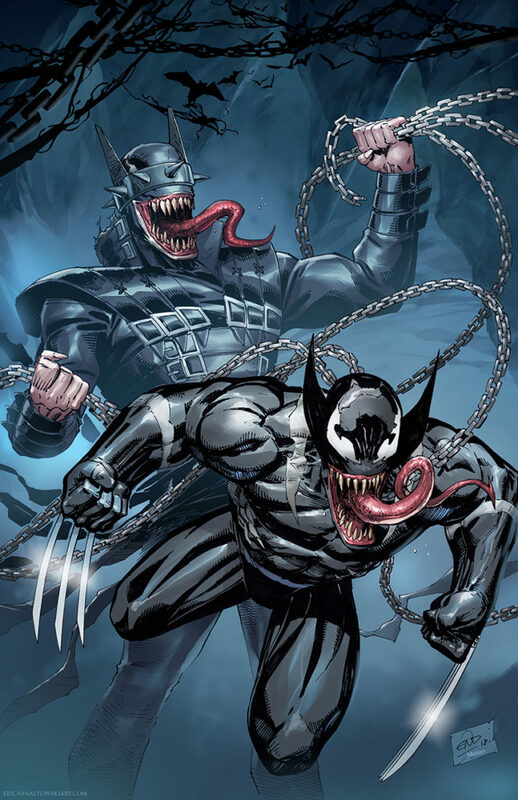 Venomized Batman Who Laughs and Wolverine! Get this sick twist on some favorite freaks! For a while I considered making the jump to put my art on Metal, it seemed like everyone was doing it and I could care less (not to mention it’s expensive!) …After seeing the results though, why wouldn’t I want my art to look as awesome as possible? It really does make a difference! These high quality digital prints on Metal are great, not only do they look good but they are durable and will last a LONG TIME!! The Metal really makes them pop! 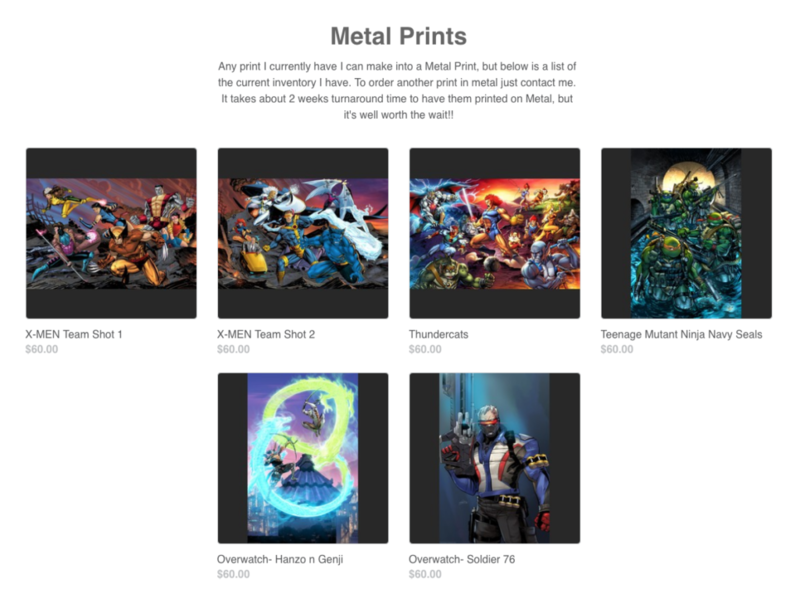 When you head to the store you’ll see the Metal prints I currently have, but I can make any print I have into Metal. So if you don’t see it in the Metal prints section don’t worry, just contact me, and I’ll have it made. No extra cost. Just shipping, and the $60. Click the image to go straight to the store! TIP: When displaying your Metal prints, leave out the glass in your frame, the glass with add an extra glare! Just set it up with a good light source and watch it glow! New Print available in the store! 2 sizes to choose from! 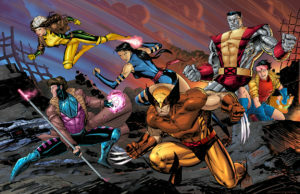 I wanted to do a sweet X-Men team shot because I haven’t done too many team shots of characters, and so I wanted to do my favorite era of X books. The 90’s! Jim Lee has always been my favorite artist, and his infamous run on the X-Men is tops in my comic memories, so I had to do a good tribute. So here it is, hope it brings back good memories for you too! Teenage Mutant Ninja Navy Seals! Just finished this bad boy! An awesome mash-up of two of the most awesome teams ever! Many thanks goes out to our Armed Forces, and much love and respect for the deadliest men on the planet, our Navy Seals! Oh-rah!! A recent pin-up I did of Supergirl, with a cousin looking on in the background! He’s so proud!! 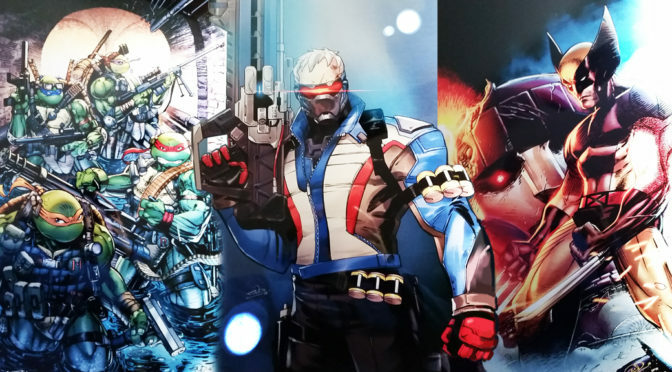 WHAT THE MEDIA DOESN’T WANT YOU TO KNOW!– You may have heard that they finished shooting the Suicide Squad, but what you won’t hear is WHO finished shooting the Suicide Squad! But don’t worry, we got your coverage right here!! Batman Arkham Knight just added! My New Batman Arkham Knight Print has just been added to my Square store front, check it out! Have you checked out Instagram yet? 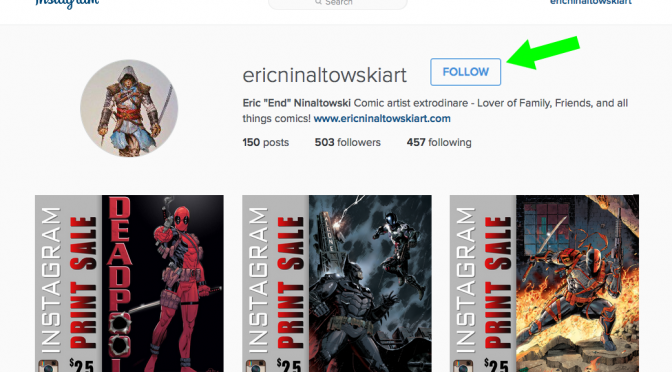 If you already have, then “FOLLOW ME!” Instagram is quickly becoming one of my favorite social media sites! The only bummer is it doesn’t allow you to really see the art super well, no zooming and the fixed ratio is a bummer, but it’s so easy to use! It’s an awesome and easy way to keep up with your favorite artists and see what new stuff they’re working on. So if you haven’t already, give it a shot and come follow my feed! Also I’ll be doing flash sales as a quick and easy way to make my prints available to my fans and cool Contests to win some free art! So go ahead check out my page and see what’s going on (just click the Instagram Icon!) It’s a quick and easy way to see what I’m working on and get some cool stuff while you’re at it. Ps- I just started my first Print Sale today, and you can get this sweet Deadpool print for just $25!! Signed and shipped!! Can’t beat it! Click here to check out the preview! Check out a little sneak peek of what I’ve been working on over on Bleeding cool! Get a four page preview, plus check out the other books coming out next year from OSSM Comics… Thaniel, by artist Terry Huddleston and Writer, Omar Spahi; Separators, by Artist PJ Catacutan and Writer Omar Spahi; and Monomyth by Writer Siike Donnelly and art by yours truly! And here’s a pic below of page 2 from Monomyth! Be sure to keep your eyes out for more sneak peeks of this OSSM book! Check out my Indiegogo Campaign! Where you can find me around the country at any given Con or Event!